Alhamdulillah always a reminder that by the Grace of Allah (AJ) we are in existence. And a reminder to take a path of nothingness in a dunya that is constantly making something. “Bismillahir Rahmanir Raheem. Atiullaha wa atiur Rasola wa Ulil amre minkum…‘Alhamdulillah from their knowledges and from their hearts; that Allah (AJ) send to the reality of Prophet (ﷺ) and Prophet (ﷺ) sends to the ulul amr. 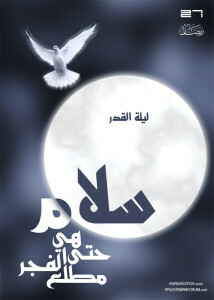 The ulul amr whom are real and sincere, whom Allah (AJ) has granted what Allah (AJ) wants to grant. Their authority is from Heavens. There are ulul amr of dunya who are authorized by dunya people and they authorize each other, and there are those who are authorized by the Heavens. Alhamdulillah that Allah (AJ) granted us a tremendous ni’mat (blessing) to be from them, to be following them, Sultan al-Awliya Mwlana Shaykh Muhammad Nazim al-Haqqani and the sultan of our hearts, Mawlana Shaykh Hisham Kabbani (Q). Allah sanctify their secret and raise their darajats (station) infinitely higher. May Allah grant Mawlana Shaykh Hisham good health, long life, take away difficulties and hardships. And make that path to be soft and smooth and fragrant and beautific oceans for Mawlana Shaykh Hisham inshallah, always, always, always. In in these days of difficulty and hardship, we ask that Allah (AJ) dress us. A reminder for us is from Surat al-Qadr (chapter 97 of Holy Quran), where Allah (AJ) is granting from the oceans of Divinely Power. In everything there are levels of knowledge. Shari’ah – They have the level of Shari’ah (Islamic Jurisprudence), which is the cause and effect, that governs the physical world, the world of form. Ilm at-Tariqah that Allah (AJ) grant to those who are taking a path. They are on “ta wasaw bil haqqi wa ta wasaw bi sabr. 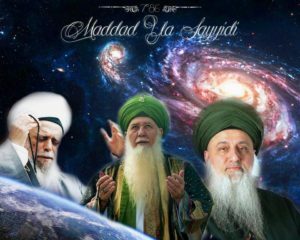 They are on a path of haqq (truth) to reach towards realities, they are making an ascension. When Allah (AJ) is saying “‘Mutafakkiron’ – the people of tafakkur know”, “‘Ulul albaab‘ – the people of the door know”, “the people of understanding know”. That have you made your ascension? Means those who struggle and strive against themselves and against their bad character, Allah (AJ) grants them a level deeper than the Shari’ah, which is based off the Shari’ah. Then higher level is the knowledge of Tariqah. From the knowledge of the tareeq and the way towards the ma’rifah of Allah (AJ), it becomes like the circle, which is Shari’ah that governs everything. Those who are taking a path on each step of that tareeq can go deeper into the oceans of ma’rifah. Those who are Gnostics in the way of Allah (AJ), means they have been dressed by Shari’ah. Then Allah (AJ) grants them the knowledge of Tariqah. Then from the knowledge of Tariqah grants them the knowledge of ma’rifah. 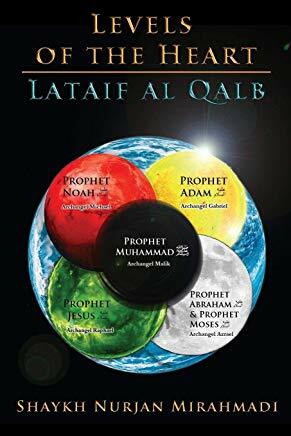 From the knowledges of ma’rifah as they are drawing closer to the reality, they are now granting them haqeeqah; the haqaiq, the truth of that reality, like the essence of that reality. Then the knowledge of Azemah, that they are so close to the center of the Divinely Presence, the Divinely Kingdom, that Allah (AJ) is granting them the knowledge of ‘Azemah and its magnificence and its munificence. From the understanding of the difficulty that is coming onto dunya, that is a tremendous power in Surat al-Qadr. To be dressed by a qadr (power), to be dressed by Allah (AJ)’s rida (satisfaction), to be dressed by protection in days of difficulty, more protection is needed, more understanding is needed. 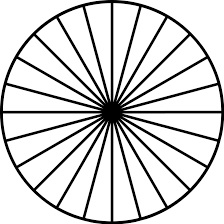 If you make the circle of the sun as an example, because the sun is a reality for us of eternity. 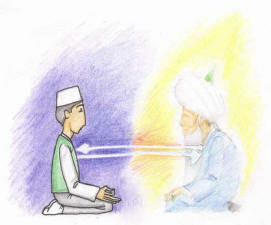 The sun for our understanding, because Allah (AJ) teaches: I will show you upon the horizon and then upon yourself. The signs upon yourself is going to be much more complicated. To understand the horizon, that which is eternal around us is the sun. 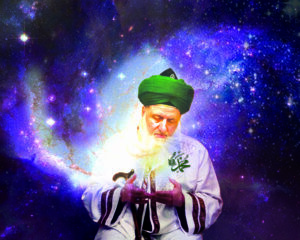 It has been there from the time of Sayyidina Adam (as), every prophet has seen that sun. So for us to understand eternity, it is the shams. That is why we say, “Shams al-Arifeen (the Sun of all Knowers), Shams an-Nabiyin, means the sun of all the prophets, the sun not son. 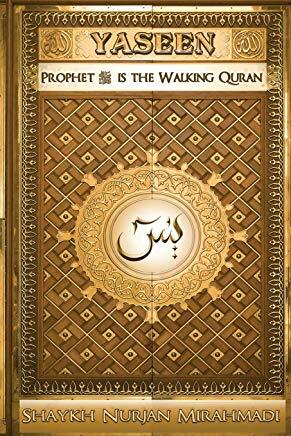 It means the eternal authority, power and qudrah of that reality. Then Allah (AJ) is describing: every angel and the Ruh, with the permission of Allah (AJ) is descending upon you with every amr (command). Every amr has to do with every order, every command. For us to understand now just the Shari’ah level of the sun. The power that Allah (AJ) is dressing is a symbol of Allah’s Qadr. So He says, in My Qadr (power), in that sun every order is moving through that sun because you still probably do not know the importance of the sun in your existence. But once we study just a little bit about the sun, you breathe from the sun, you can see from the sun. 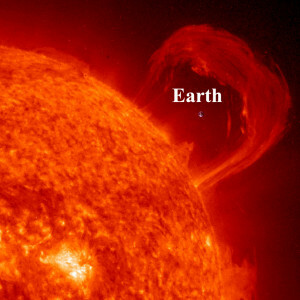 You have warmth and life on this planet because of our proximity to the sun. If Allah put you on the moon you would be frozen or you would have been cooked at 250 °C. So the Earth is precisely positioned for a life and an existence on this Earth and it is nourished by the power of that sun. What they found that you put in that Sun ‘kullu amr’ is that every amr, every order of Allah (AJ) is emanating through that sun [Shaykh is pointing at the Sun in the diagram]. That order and the Ruh has to do with the secret of Sayyidina Muhammad (ﷺ)’s light. 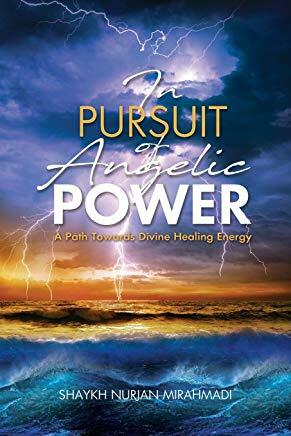 Everything is from Prophet (ﷺ)’s light, the malaikah (angels) carry the orders from the Divinely Presence as the purified lights, the purified souls, they don’t make up, they don’t deviate, they don’t go left, they don’t go right. They are amongst the ulul amr, the people of the amr, of the conveyance, of the orders. Every order of Allah (AJ) moving through that sun. It means then on the Shari’ah level they begin to teach us that everything that is coming from that sun are malaikah (angels) with authorities from Allah (AJ). 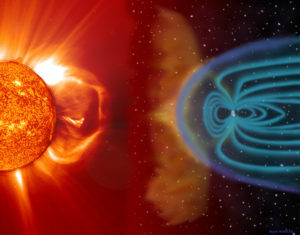 So when they began to study the sun they saw there was a photon inside the sun. There is a light inside the sun that penetrates everything. 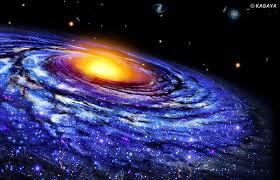 They went deep into the Earth, fifty miles underground and they said there was a photon there. They went out to the outer planets with satellites, and they said the photons of our sun for this galaxy reaches the farthest levels of the planets. Kulli amr (all commands), Allah (AJ) says: that My Power, My Izza with malaikah and the authority of the ruh; means there is a reality from Prophet (ﷺ) giving command to those malaikah that deliver Allah (AJ)’s order. Everything is nourished and everything is in the best of hisaab (account), it can’t be random. 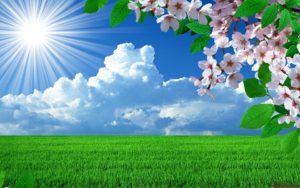 There is no randomness, that Allah (AJ) gives a command and that angels ray is responsible to hit that flower, to hit that human, to hit that mountain, wherever it is supposed to go and to nourish what Allah (AJ) wants it to nourish, it moves precisely. Then that salaam is coming, the ‘hiya’ is in reference to the power that Allah (AJ) is bringing upon the Earth. So the Shari’ah level is for us to understand, that Yaa Rabbi this power this izza that You have dressed everywhere in the world of form is under Your Shari’ah. Shari’ah is what governs in the world of form. That sun can’t go anywhere, it is directly and precisely where Allah (AJ) wants it. It’s governed by Allah (AJ)’s izza. So the world of form is showing and Allah (AJ) is showing that from this world of form, I have given this power and this authority to what it represents. Within the rays of that sun, why it nourishes and why it penetrates everything is because I am telling you that the angels and the ruh are coming with all My Amr. So it is a station of Allah (AJ)’s Amr (command). For us to understand, they are coming with every command upon that Creation and nourishing and performing everything that I am asking of it precise. Every power Allah (AJ) is sending through the Holy Qur’an. It means that every amr, every order, every authority is symbolically moving through these rays. That if you want to catch the reality of this amr, from what the malaikah are bringing of ishrat and orders from the heart of Sayyidina Muhammad (ﷺ). 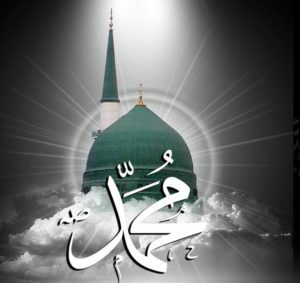 The Ruh is the authorized Muhammadan wali (saint) who is in charge of that reality, because the ruh is carrying a secret from Prophet (ﷺ). That secret is what governs the malaikah (angels) on that station. Allah (AJ) is describing: all My Commands for that planet are coming from there. Every amr, every order, every command is coming to you, from a source of power. We still don’t know the haqaaiq yet, but for us to be symbolic. That Allah (AJ) is showing there is a source of power and it is reaching to you, the angels are reaching to you. Where Allah (AJ) tells you to pray tahajjud because you can enter into Maqaam al-Mahmood. This is from Prophet (ﷺ). This ‘salaamun’ that Awliyaullah (saints) are inspiring for us to reach. That you want to be dressed by this sirr, you want this conveyance? Because the malaikah are going to be conveying to your heart these realities. This meem م is the Muhammadan dress. Maqaam al-Mahmood means it is coming from Prophet (ﷺ), Sayyidina Muhammad (ﷺ) on Earth, Sayyidina Mahmood (ﷺ) within the Heavens. Means from salat at-tahajjud to salat al-Fajr all these dresses are coming, this salaam is coming. So in the level of Tariqah (spiritual path), they are teaching that keep your salat al-Fajr (morning prayer), Allah (AJ) will dress you with qadr (power). If you are missing your salat al-Fajr, you are missing a tremendous dress of qadr. To pray it by missing that [pray later] is one reality, ask for istighfaar (forgiveness) and pray. But how pious people become pious is because they are becoming fuluk ul mashhoon, they are becoming loaded souls, loaded with tremendous amounts of power. There is an energy that is dressing their soul, dressing their soul, why? Because they are at salat al-Fajr. Allah (AJ) promised “salaamun hiya hatta matlal Fajr” (97:5). Later we go to the higher levels of ‘hiya’, but for this understanding and the difficulties; that sickness and many difficulties begin to come and it’s najat, safety, is in salat al Fajr. 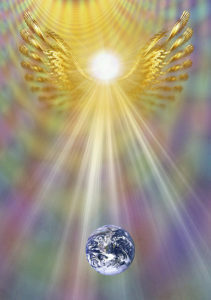 They are warning that what is coming upon the Earth of negativity is something that can’t be imagined. It is not something that you just sort of say, “Okay, I know this person is going to go away.” No, he is not going to go away. “My husband is a good person, he prays I don’t need to pray.” Your husband may have a nice grave, you may be in a different condition or vice versa. The guides are warning for us, that do you want Allah’s Qadr, do you want Allah’s Power? 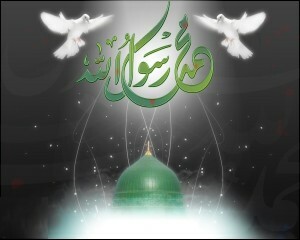 He (AJ) is promising, from Holy Qur’an: I am going to be sending you a salaam, I am going to be sending you salaam. Awliyaullah come and tell you, just from the level of Tariqah, telling you that salaam you should be really striving for because it has a sirr, a secret, within it. There is a lisan and angels who are going to begin to teach in your Fajr and this is a tremendous reality from Sayyidina Muhammad (ﷺ). It is an immense reward because Maqaam al-Mahmood is that Prophet (ﷺ)’s energy and lights will come lower at the time of Fajr to receive people. Means then they open the ni’mat from Allah (AJ) that Prophet (ﷺ)’s light to reach closer to people, to bring them closer back into that reality and begin to dress them. So means the awrad, the zikr, and every amal that we are doing its energy and power is coming and they are warning for us is to keep salat al Fajr. If you are sick keep your salat al Fajr, it is the best of medicine and best of remedy. If misguided and faith is low and doubt is entering, pray salat al Fajr. Allah’s salaamat is coming, Allah (AJ)’s najat (salvation) is coming. Allah (AJ)’s angels and the authority of the ruh will be dressing as He is dressing His leaves and flowers and nature and everything in Creation is waiting for Fajr. Then they begin to go into the levels of the haqaaiq, the levels of reality, that this is coming, this salaam. What makes it so immense for our Creation is that this again has ilm al-yaqeen, ayn al-yaqeen, and haqq al-yaqeen. So think then what Allah (AJ) is going to be dressing is dressing this sirr. This ilm al-yaqeen, ayn al-yaqeen, haqq al-yaqeen is going to be coming down on a tongue, the tongue of the Muhammadan reality is now coming towards the believer. Those are the Ahl al-Turuq in which the Turuq are teaching them, giving them wazeefa and awrads, don’t lose those awrads, don’t drop those wazeefas. Every day there is a wazeefa that needs to be done. Anyone who doesn’t do it enters into thirty days of darkness. There is no way to stop it for one day. When you do the wazeefa and awrad it is like a ‘dial-up’ into a computer. That you are dialing-up into one of those authorities, from one of these ulul amr that Prophet (ﷺ) gave them that reality, give them these recitations. And if they adhere to that recitation they are connecting into that reality. That means from their authority, of their amr what Allah (AJ) dressed to them, they are going to be dressing you from ilm al yaqeen, ayn al-yaqeen, haqq al yaqeen through a tongue of reality which is a Muhammadan haqaiq. So by keeping all of that awrad/wazifa, it begins to dress, dress, dress you. Then they begin to teach what realities Allah (AJ) is going to open. This yaa ي contains, because this hiya هي is in reference to qadr, Allah’s izza and power. Qadr, qadr, qadr, hiya is in reference to Allah (AJ)’s Power. Awliyaullah come and teach that hiya is every uloom, uloom al-awaleen wal-akhireen (from beginning to the end). Yaa ي – every kalaam (word), every knowledge, from the Alif all the way to the last letter yaa– Every knowledge is from letters. As you write these letters these are knowledges being conveyed, realities are being conveyed. 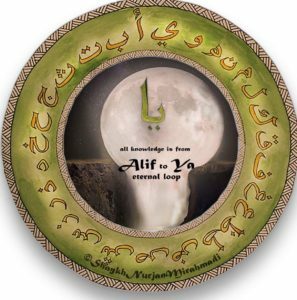 Then they teach that everything is an eternal circle of realities, that once you reach to the yaa ي, the yaa actually goes back and begins with the alif ا , the yaa connects to the alif يا. Means every knowledge from alif, all the huroof to yaa are coming to that servant. Every reality that Allah (AJ) is going to teach is through these letters. 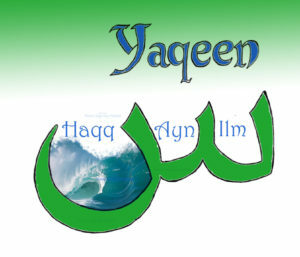 If Allah (AJ) compacts and condenses the letters and sends you a yaa, He is sending you yaqeen. He is sending you knowledge. 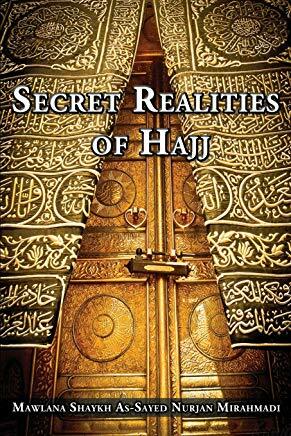 Every type of reality coming in that salat al-Fajr and Allah (AJ) granted its hidayat. This ha ﻫ is for hidayat [هداية] (ha ﻫ of hiya هي). You want guidance, you want all of these realities hiya is coming loaded. So ‘salaamun hiya’ Allah (AJ) is saying: this salamat that is now coming towards you with ilm al yaqeen, ayn al yaqeen, haqq al yaqeen as a Muhammadan reality means then they are going to begin and at higher levels the servant is going to begin to understand the lights are presented to him in Fajr. There will be angels and Awliya (saints) at their Fajr and every knowledge is being conveyed into their heart from the secret of hiyya. Allah (AJ) condenses, that every kalam (word) I have from alif, baa, taa, thaa, everything that is making My Knowledges, all the Holy Qur’an is in those letters, He said: I am going to package them all in a yaa for you and I am going to send it accompanied by hidayat and guidance. If you look at the haa [ ﻫ ], it has a waw [و ]inside a cave, and the people of true guidance they have a waw within their heart. Means everything they do is based on love. These are the people of immense love that Allah (AJ) is going to send a hiyya to them that every knowledge, every reality is going to be conveyed to you. So why then pious people and those who follow Awliyaullah, never miss unless they are sick or have difficulty, they never miss their Fajr? Because that is the time of their schooling, that is time in which Allah (AJ) is dressing them and blessing them. Allah (AJ) is conveying every salaam, means every mushkilat, every difficulty is taken away at Fajr time. Every knowledge is conveyed at Fajr time. Every association and blessing and barakah is granted, at Fajr time. That is why the Fajr is actually Faraj, that you move around the letters and its faraj, salvation. Allah (AJ) granting the nation of Sayyidina Muhammad (ﷺ) a tremendous salvation to be free from difficulty and then in all the levels of haqaaiq because you are first coming to the commands of Allah (AJ) to pray the Fajr then they begin to describe the haqaaiq of that reality, that it takes away every difficulty, takes away every mushkilat, every du`a that is going to be accepted is most accepted at salat al-Fajr. Then for Ahl al-Marifah who are going and asking for knowledges that all the knowledge they heard and they studied, as soon as they enter into salat at-Tahajjud and they begin to contemplate that what did the shaykh just talk about? 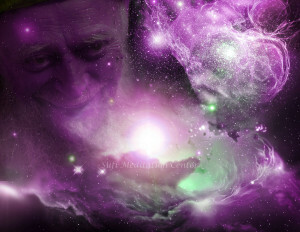 That night when you are meditating, and reading the articles or reading that understanding or listening again to it, or even just meditating to Surat al-Yaseen at Fajr at tahajjud time, connecting your heart with Mawlana Shaykh and listening to Surat al-YaSeen, which is the heart of Prophet (ﷺ), it is the heart of Holy Qur’an. Then Allah (AJ) says, when Qur’an is recited, stop, sit, contemplate, meditate so that Allah’s Mercy can dress you; ‘salaam’ can dress. Means every reality will be opened at that. “So when the Qur’an is recited, then listen to it, remain silent and pay attention, that you may receive mercy” (Surah al A’raf 7:204). We pray that in those days of difficulty Allah (AJ) grant us a himma, a strength not to leave. Shaitan only wants difficulty for us and Shaitan makes everything to be difficult, “Don’t do that. don’t, don’t, don’t listen to him, don’t pray your Fajr, don’t do your awrad, don’t do like that, don’t come here,” why? To put hardship upon the believer until they turn into difficulty and immense hardship. We pray that Allah (AJ) give us a himma and strength to follow whatever Allah (AJ) wanted for us and to be dressed by Allah (AJ)’s infinite rahma, immense rahma, that can’t even be imagined. Subhaana rabbika rabbil izzati amma yasifoon wa salaamun alal mursaleen walhamdulillahi rabbil aalameen. Bi hurmatil Muhammad al-Mustafa wa bi sirri surat al-Fatiha.